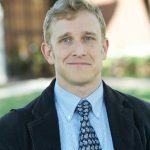 Adam Pryor, PhD is Assistant Professor of Religion and Director of Core Education at Bethany College in Lindsborg, KS. A scholar of science and religion, having taken his Ph.D. at the Graduate Theological Union working under Robert Russell at the Francisco J. Ayala Center for Theology and the Natural Sciences, Dr. Pryor’s primary research concerns issues related to emergence theory, the origins of life, and reconceptualizations of embodiment. Working principally within Christian theology, his previous monographs include The God Who Lives: Examining the Emergence of Life and the Doctrine of God (Pickwick Publishing) and Body of Christ Incarnate for You: Conceptualizing God’s Desire for the Flesh (Lexington Books). His current research, which he began as a member of the Center of Theological Inquiry’s recent research program on the societal implications of astrobiology, considers how astrobiology effects Christian understandings of the imago Dei, driving us toward a vision of human being concomitant to work being done in environmental humanities. Dr. Pryor is concerned with how scientific concepts and problems can serve as a table around which interfaith dialogue can take place. Scientific research pushes us to ask personal, existential questions of deep religious significance, whether this is intended or not. As a fellow he is interested in more deeply considering how these existential questions provide vantage points on one’s own religious or non-religious ways of understanding the world as a meaningful whole that can then be catalysts for building relationship across religious differences.